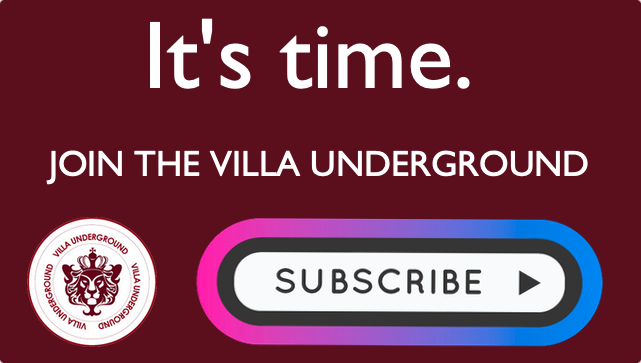 Villa Transfers: Loans IN – Abraham & Johnstone – OUT: Veretout, Gil, Amavi, Elphick & Tshibola. As Villa’s Financial Fair Play issues begin to bite, we look set to see some wheeling & dealing to enable Bruce to re-shuffle the pack. 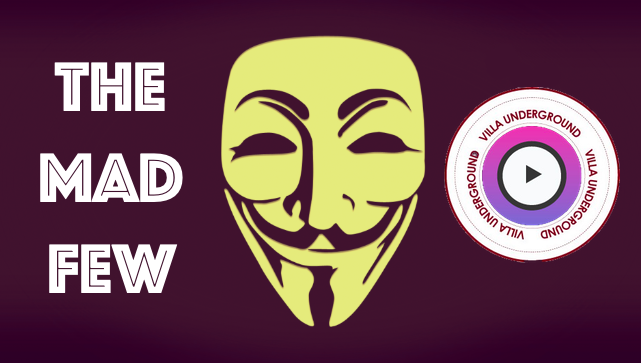 Villa’s squad remains bloated with the remnants of the Premier League relegation side, ‘Moneyball’ flops and the excesses of two scattergun transfer windows. Villa are looking at solid candidates for loan moves as well as trying to move any obvious dead-wood on. Earlier reported discussions between Steve Bruce & Jose Mourinho appear to have been successful. Johnstone was a steady [if unremarkable] improver during his loan spell in the second half of last season. The young keeper is effectively fourth choice at Old Trafford – and a season long long appears to be on the cards. The Chelsea & England Under-21 international striker has caught the eye after scoring 26 goals [all competitions] during a season long loan at Bristol City. At just 19 years of age, Abraham has already demonstrated his potency. Whilst scoring for fun at Championship level is one thing, this hasn’t stopped there being plenty of admirers. Abraham’s would at best be available to loan, but there is significant interest from the Premier League and a swathe of Championship clubs. Disappointing midfielder Veretout has had a reasonable season loan at St. Etienne and the French League 1 side are keen to make the deal permanent. The French side failed to quality for Europe & with turnover in the squad, are eager to hold onto Veretout. The major hurdle is a self imposed salary cap, which would need to be revised to enable a deal to go through. Veretout featured yesterday in St. Etienne’s 5-0 home drubbing from PSG, contributing a direct free-kick but nothing else of note. Veretout joined Villa for an eye watering £8million from Nantes in 2015 & is just 2 years into a bumper 5 year deal. Quite how we’ve been unable to accomodate or get the best out of Carles Gil will perhaps always remain a puzzle. Particularly as some of the former Valencia midfielders performances turned some heads across Europe, whilst Villa lacked any sense of flair or creativity at the turn of the year. The 24 year old is currently on loan in La Liga with Deportivo La Coruna – who having now assured their top flight status can begin to think about next term. The season has been a mixed bag for Gil – with 4 assists in a 22 game injury hampered season. With Depor’s financial situation unclear, Gil’s potential & fee/wage demands, his future remains uncertain. After a disappointing campaign, despite Bruce’s desire to retain the French U23 international, it looks increasingly likely he will move on. > Read more on Amavi’s likely move here. Reports suggest that Elphick is surplus to requirements & will be encouraged to move on. The first signing of the Xia & Di Matteo era was the start of a recruitment drive of “leaders”. Indeed, the former Bournemouth man was immediately installed as Captain. Despite all of the pre-match ritual & intent, the fact was that Elphick often looked a total liability. So much so that Nathan Baker, hardly flavour of the month at Villa Park previously, became the go-to partner for James Chester. Chester also took the Captain’s arm-band from Elphick. Awkward. Elphick unfortunately looks to have lost the yard of pace and defensive edge which made him a mainstay of Bournemouth’s climb through the leagues. Villa’s ambitions are clear & we cannot afford to be sentimental or blinkered to the fact that Tommy simply doesn’t cut it. Mega flop Aaron Tshibola barely survived relegation with Forest during his half season loan spell. The hyped midfielder has shown little to justify his fee, becoming peripheral at Villa Park before doing little to impress in the U23 league. Injuries and a lack of form/consistency are the obvious issues with Tshibola – features underlined whilst at Villa and during his time at the City Ground. Villa may hope to use the lure of “promise” and a cut price deal, to try and recycle any fee raised into a player who looks capable of being a part of any promotion push. 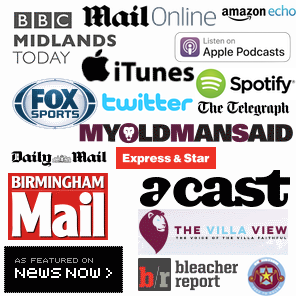 Transfers: McArthur £2m, Aly Cissokho departs, Samba Signs & Veretout £6.2m bidding war. £14m McCormack deal, Ciaran Clark transfer to Newcastle & Gana signs for Everton. A centre half or two that could help just a little bit, going on last season, oh and the departure of flabby, jelly bacuana, and richards. It looks like loans will have to be the order of the day. So what there is good talent out there and available. Bruce has to get them playing with more flair and get the likes of Grealish stepping up. When you think back to how we sold Cahill now an England regular and Chelsea captain and Mark Albrighton who then got a premiership medal so lets now make another mistake like those. Some of our youngsters in midfield would greatly benefit by getting Gareth Barry back for a final season with a golden handshake if we go up. Also a winger please who can take a full back on and deliver an accurate cross. Now that might just get us back up the top. Seems that given FFP & wage pressures that some creativity in the loan market will be unavoidable. We simply haven’t learned our own lessons (or those within wider football) about massive splurges in the transfer market and the impact that those have just a little way down the road. I also believe we have a great number of players who are under-performing and who Bruce has struggled to use effectively. Lansbury & Hourihane are prime examples of players who had clear, effective roles at the previous clubs, but who have been shackled since arriving at Villa Park (in my opinion at least). The likes of Grealish – if they’re the talents we hope they’ll become – need to start shining week in week at at this level. Jack has shown quality moments you can literally count on one hand, which is simply not good enough for a team with ambitions of promotion. On Barry – I can see the logic in having him within the squad – particularly as gambles like Tshibola just haven’t paid off. With that said, there will likely be any number of teams looking at Barry and willing to match wage demands, if only for a season. And finally, we urgently need pace and a bit of flair injected into the side, which obviously he wouldn’t bring. Its been too long now that we Villa fans have had to watch mediocrity. Now with the bombshell of a massive million to spend we might just about survive at level 8. In stead of buying all those average players in three transfer deadlines, we should have spent big money on just three or four. Cahill, gone Collins gone. Whittingham gone, Albrighton gone, Davies gone Bannan gone I could go on. I would have to agree with pretty well everything that has been said, I’m sorry if people don’t like it but I don’t have a lot of confidence in our manager, no I’m not calling for his head but he needs to take the shackles off and let new signings do what they do best, I think with a couple of good additions that we should be good enough to make the play offs next season, I would give it 6 games and if we are not in the top three afterwards then drastic changes should be made.